What will it take to get Germany to own up fully to its colonial history, specifically the atrocities it committed during the Genocide in Namibia? 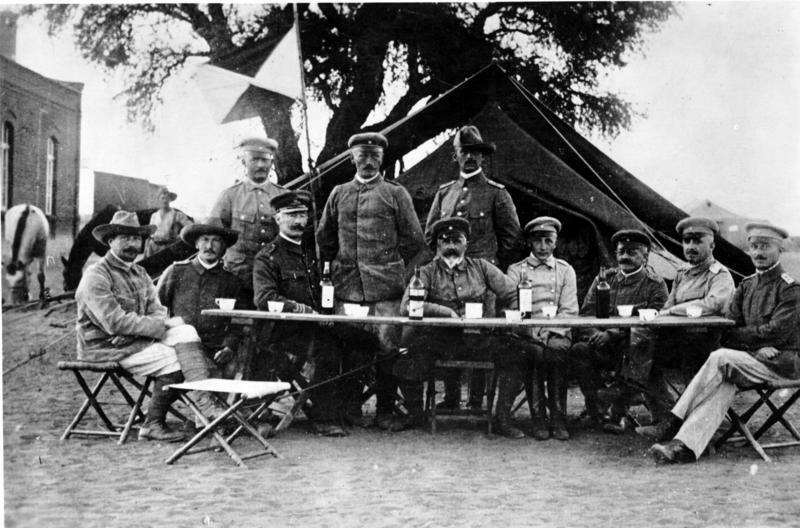 German officers in colonial South West Africa, 1904. Image credit the German Federal Archives via Wikimedia Commons. The colonial empire of the German Kaiserreich, which lasted from 1884 to the First World War, was decisive in Germany’s trajectory towards Nazi rule. Yet until a few years ago it hardly featured in discussions of the German past and its legacies. These days it cast long shadows especially on German-Namibian relations. 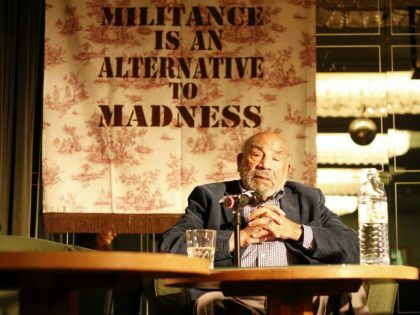 It also remains an asymmetric relationship, based on an entangled history and a vital dimension of the postcolonial situation that pertains to both societies, even if in different ways. The former “German South West Africa” became the independent Republic of Namibia in 1990. (Between 1915 and 1990 it was occupied by neighboring South Africa, then under white minority rule–Ed.) Independence opened avenues for victims of colonial crimes, including the genocide of 1904-1908, to put forward demands for recognition and redress. 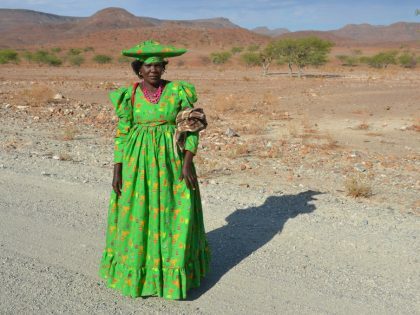 In Namibia, the German past is an integral part of the present. In a country with one of the highest social inequality rates worldwide (it competes with South Africa, which ranks on top of the Gini-coefficient), a tiny German-speaking minority remains on average the most privileged part of society. A skewed land distribution, where German-speaking farmers occupy large stretches of prime commercial farm land, is among the most visible reminders of the colonial legacy. The “Second Land Conference” to be held in early October 2018 will focus on this continuation of colonial dispossession and appropriation, which is reproduced in current property relations. In Germany, the situation was very different. At most, colonial memories were cultivated mainly as a romantic nostalgic celebration of a “civilizing mission” by colonial apologists. This changed somewhat since the turn of the millennium. Awareness campaigns by local post-colonial and Afro-German civil society initiatives, along with the impact of sustained activities of Namibian victim communities managed to bring the issue through the media into the public domain. But there are other obvious reasons why German colonialism remains on the agenda of both countries. Not by coincidence, the current German governing coalition has included in its coalition agreement, a clause that it will address colonial history. Yet this is the first time something like this happened. This commitment focuses largely on the contested issue of the restitution of stolen artifacts in German museums to countries of their origin and hitherto uncounted and mostly unidentified human remains, which in their thousands from all over the world remain in the hands of German institutions. Strikingly, Namibia is not mentioned specifically though many human remains held in Germany came from the then-South West Africa; collected from a variety of Namibian populations for research in human-genetic anthropology, a pseudo-science that later fed into Nazi obsessions. In July 2015, a spokesperson for the German Foreign Office said the term genocide was applicable to what had happened in German South West Africa. At the time, the government, in a written answer to a parliamentary question, confirmed that what happened in 1904-1908 was genocide and that this is now official German government policy. Soon after, both governments appointed special envoys to negotiate how best to come to terms with this now acknowledged past. But the exchanges had a bad start: Agencies of the descendants of the main victim groups (Ovaherero, Ovambanderu and Nama) complained that they were not given an adequate and independent role in the proposed negotiation process. (Those representing victim groups often forget to include the Damara and San as other groups directly affected by the genocidal warfare.) Further, the German side entered the dialogue with the declared aim to negotiate an apology—as if this would only be a second step to the admission of genocide. Finally, the consequences of such an apology (i.e. the form of reparations) remain an issue. Not surprisingly, for more than a year now, bilateral negotiations are at an impasse. Several rounds of meetings between the two special envoys and their teams remained shrouded in secrecy. Disclosure on the proceedings was highly selective. It is clear, however, that the main issues remain the full recognition of the genocide, an appropriate apology and a willingness for redress on the side of the German government. On 29 August, 27 human remains—which besides Ovaherero and Nama included four skeletons and one skull of San, then known as Bushmen—were handed over ceremoniously in a prominent Berlin church. The speech by Müntefering, partly repeated her earlier welcoming remarks. Again, remorse was clearly shown, but no deep apology was extended. At the end, she “bowed in deep mourning” and asked, “from the bottom of my heart for forgiveness.” Such wording did not go beyond the individual remorse offered in 2004 by then German Minister Heidemarie Wieczorek-Zeul. The latter’s speech at the centenary commemoration of the battle at Ohamakari, which triggered the genocidal warfare of 1904-1908, was a pioneering feat. Deeply moved, she asked for “forgiveness of our sins.” At the time, Wieczorek-Zeul acted against the writ of the Foreign Office and formally, against cabinet discipline. In 2018, Müntefering clearly reflected the line taken by her ministry. Müntefering once again resorted to a quaint wording: the “atrocities committed then in the German name were, what today would be termed a genocide.” Such verbal acrobatic relates to the Foreign Office’s stand that international law would not apply to the deeds of 1904-1908. Rather than voicing genuine regret, Müntefering in this way stuck to the judicial niceties set out by lawyers in the Ministry where she works. Moreover, for some time, the German Foreign Office has once again retracted from the earlier acknowledgement of a genocide. However, reparation claims do not go away through denialism. They are pursued both by the Namibian government and separately also by descendants of the main victim groups, quite regardless of their controversies. Large sections of the descendants of victims of the genocide do not feel adequately represented in the bilateral negotiations between the governments. The actions by agencies of Ovaherero and Nama therefore include a widely observed court case in New York. The contested “G-word” and its implications for reparation claims were not the only sensitive issue. Before the handover of human remains was consummated, conflicts cropped up on account of the approach taken by both governments. In an obvious attempt to keep a low profile on the side of the German state, the ceremony was devolved into the responsibility of the German Protestant Church, acting jointly with the Namibian Council of Churches. Participation both in the church service and in a vigil on the preceding evening was declared restricted to personal invitations. This violated the fundamental principles of Christian sermons being open to all. 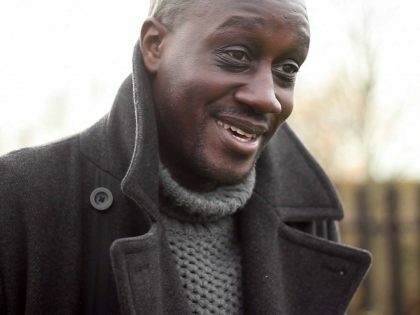 In another twist, the Namibian ambassador to Germany informed the post-colonial civil society group “Völkermord verjährt nicht,” that its members were no longer invited to attend the hand-over ceremony. The activists had relentlessly campaigned for a recognition of the genocide. They were also crucial in the renaming of some colonial street names in Berlin. The new names include figures of earlier Namibian anti-colonial resistance. To exclude them, as the Ambassador had done in his mail, from the “friends of the Namibian government and people,” was received as a serious insult. How do you—the organizers of this event—think of us, Herero and Nama leaders, that our staunch supporters who were responsible for discovering these remains, are kept outside while we are locked up inside and standing next to members of the very church that has committed genocide against our people? Don’t you ever have respect for our feelings? The Namibian Government on behalf of all its citizens who have been scarred irreparably by Germany’s colonial atrocities, especially by the 1904-08 Genocide of the OvaHerero, Namas and others, will continue to seek the acknowledgement, apology and reparations from the German Government. Namibian and German NGOs, Members of Parliaments, and private individuals for their long-standing and unwavering support to the affected Namibian communities and the Namibian Government in bringing light to this dark chapter of our joint history. Recognizing the contribution of the affected communities, he reminded them that the human remains left Namibia when it was a colony. They were now returned to a democratic country under a constitution. Müntefering mainly repeated her previous speech. In contrast, the representatives of victim communities insisted on a formal apology and reparations. Even the Ovaherero group that cooperates with the government negotiators as well as with Namibia’s special envoy, stressed they would evaluate any result against these essentials. Leaders of affected communities insisted that it amounted to a continuation of colonialism to relegate them to a subaltern position as members of a technical committee during the negotiation process. By all evidence this third repatriation of human remains was another missed opportunity to move closer to some serious reconciliation over the dire past. Upon arrival of the Namibian delegation in Berlin, Müntefering had told reporters that Germany still has “a lot of catching up to do in coming to terms with our colonial heritage.” This challenge remains, and coming to terms with the past still remains unfinished business, which requires much more serious efforts towards some closure. The descendants of the victims will continue to demand justice in the sense of proper recognition of what has happened, above all the genocide, a formal apology and consequent adequate redress or reparation. Germany and Namibia remain a far cry from a true reconciliation that would need to find expression not only in pronouncements by the political top brass but effected by the people at large from both sides. Meanwhile, the fact remains that German diplomacy continues to bank on post-colonial asymmetry. Such asymmetry concerns both the marginal concern with (post)colonial issues in Germany, as compared to their urgency for many Namibians, and grossly uneven leverage. At least in part, this forms also an outflow of the colonial past. It took almost 110 years for Germany to accept the fact of the Namibian Genocide of 1904-1908. 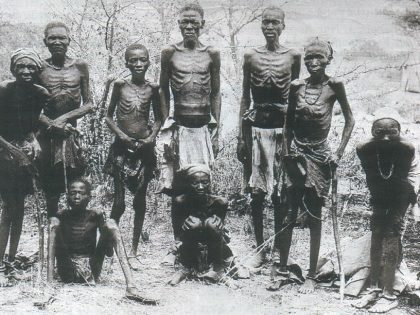 How do Germans continue to ignore the Namibian genocide?